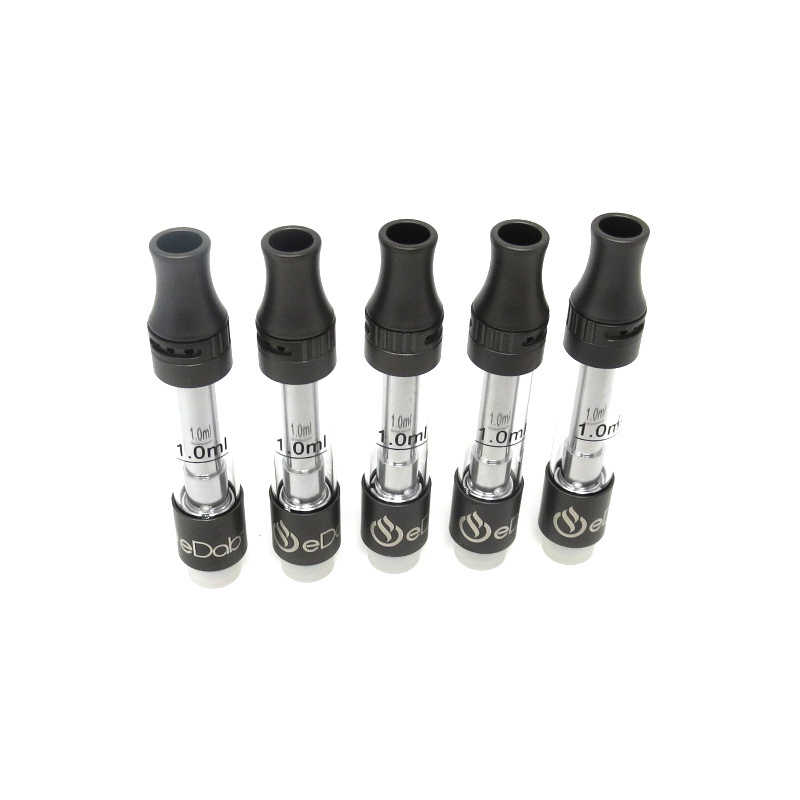 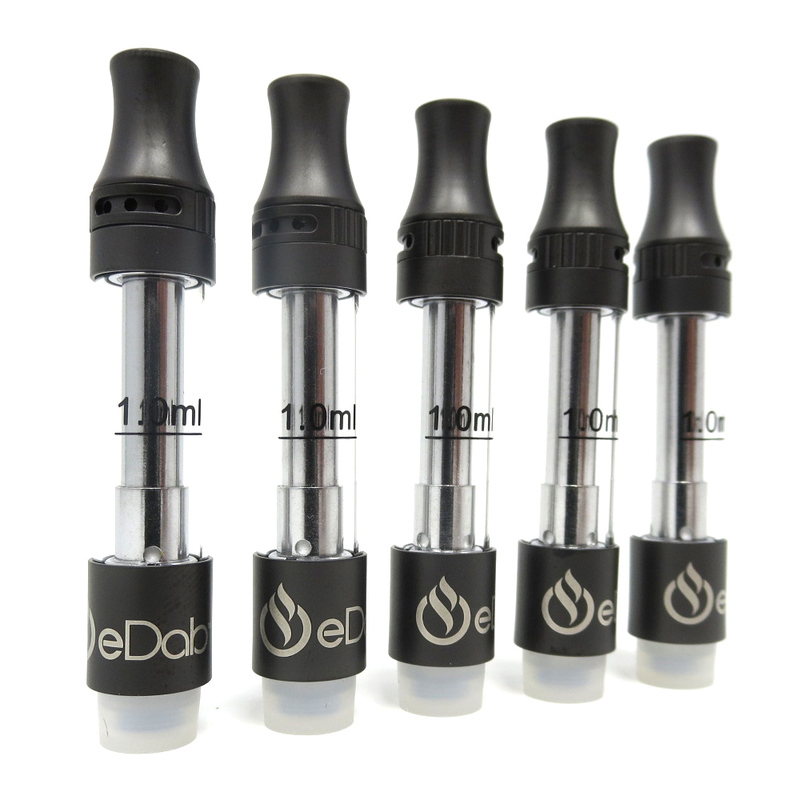 Premium quality wickless ceramic oil cartridge with expanded 1.0mL capacity and removable center post for easy filling. 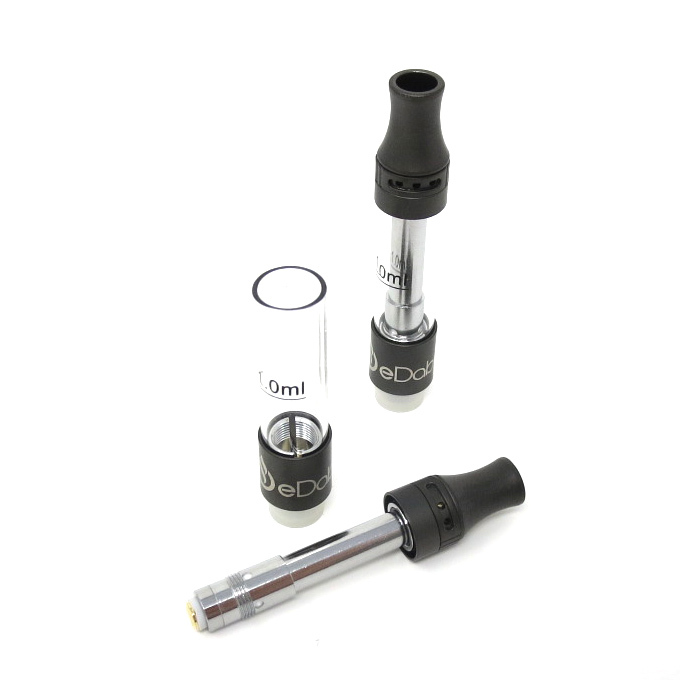 Features quad oil intake ports and leak proof cup design. 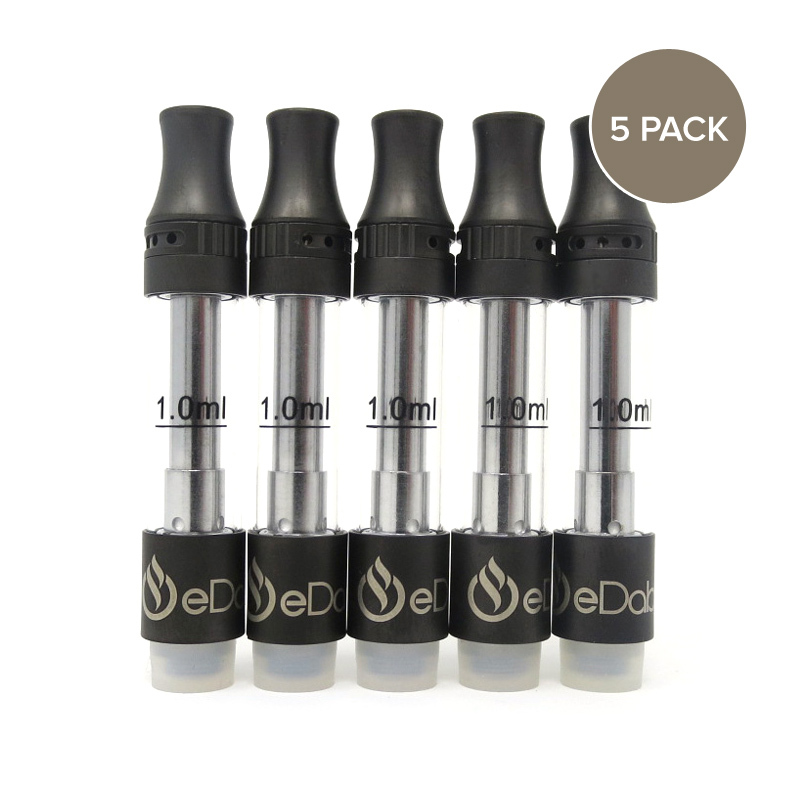 Sold in 5 packs in Matte Gunmetal finish.